Why Car Insurance With A2Z Insurance? You may already be aware that Third Party Liability Car Insurance is mandatory by law. Therefore, if you own a Car, you are mandated by law to take up a Third Party Liability Cover. However, taking up a car insurance policy that doesn't compensate your own damages seems pointless, doesn't it? A comprehensive damage cover was developed to offer a broad coverage against all possible damages arising from a variety of risks. Our comprehensive car insurance policy offers protection against damages caused to your car by way of risks such as collisions, theft, fire and so on. Additionally, a comprehensive car insurance policy also covers third-party liabilities and offers extensive protection for your car. When it comes to Car Insurance, additional coverage is always better. You can enhance your vehicle insurance coverage protection further with our wide-range of add-on covers such as Nil Depreciation, Consumables Cover, Engine Protection Cover, Invoice Cover, NCB Protection Road Side Assistance & Key Protect Cover. How to choose the one that's best for you? The Third Party Liability Car Insurance policy is generally chosen by Individuals who want to buy car Insurance as it is mandatory by Law. If you seek overall Protection from the damages caused due to Unforeseen Accidents, opting for a Comprehensive Car Insurance policy is the best option. Additionally, you can pick Add-on Covers as per the risks which are more relevant to you. Car Insurance Things To Know! The IDV (Insured Declared Value) is the current market value of the car which is calculated after deducting the depreciation amount. It is a crucial component of the car insurance policy as it determines the amount of compensation. In case of theft or total destruction of the car, the IDV is offered as "Sum Insured". What is No Claim Bonus? When you don't file a claim during your policy period, you will be eligible for a discount on your next premiums which is referred to as a No-Claim Bonus. This discount will keep increasing progressively for each claim-free year until the car insurance premium is reduced up to 50%. What are the different kinds of add-on covers available? We offer a wide range of add-on covers to ensure superior protection from a variety of risks. You can opt for add-on covers such as Nil-Dep cover (Zero Depreciation), NCB retention cover (avail the NCB despite registering a claim), 24x7 Roadside Assistance, Personal Accident cover (covers personal damages), electrical/electronic accessories cover and many more. Refer to our add-on cover section, for more details. How will a Zero Depreciation Cover Help you? You may already know that the monetary value of your car reduces overtime. This eventuality is a result of asset depreciation. Nevertheless, with Reliance General Car Insurance policy, you can combat the losses of depreciation by taking up a zero depreciation add-on cover along with your car insurance. With a zero depreciation cover, you can be assured that the entire claim amount will be paid to you without deducting the depreciation sum. How Is A Car Insurance Premium Calculated? 4. Insured Declared Value (IDV) - This is the current market value of your car which is calculated after deducting depreciation. 5. No Claim Bonus (NCB) - NCB is a discount that you get on your premium amount when you have made any claims during your previous policy period. This Discount will keep increasing progressively for each claim-free year until the car insurance premium is reduced up to 50%. The premium amount to be paid is calculated as: Premium Estimate = IDV*Age of Car – NCB + Tax. Other factors like add-on covers, discounts, purpose of the vehicle and safety features such as airbags and anti-theft devices will also be taken into consideration while calculating your car insurance premium. Not sure if you need car Insurance? Numbers Don't Lie! The poor road conditions and a blatant disregard for traffic regulations make Indian roads one of the most dangerous in the world. These fatalities are only expected to rise in the future. We don't mean to scare you by these grim statistics. The statistics reflect the kind of dangers that the roads entail. Hence, It's better to be safe than sorry! How To Save On Car Insurance Policy Premium? The value of your car depreciates overtime; hence it is important to know your IDV. A lower IDV attracts a lower premium. The No Claim Bonus is your rightful reward for being a responsible driver. Earn discounts of up to 50% on your premium year-on-year. The safer your car, the lower will be the premium. Installing anti-theft devices can fetch you up to 2.5% discount on your car insurance premium. Become a member of the Automobile Association of India and you can secure a concession on personal-damage premium. A Voluntary deductible is the amount you agree to pay out of your pocket. The higher your voluntary deductible, the lesser will be your premium. Even if you are an expert driver who maintains the car in top condition, safety is not guaranteed. At A2Z Insurance & Financial Services, we Endeavour to provide you with the best possible auto insurance coverage. Many car insurance holders are of the opinion that buying add-ons are unnecessary. This is because a car insurance policy offers basic protection against damage and losses to your vehicle, so one might think that add-on covers are avoidable. When you are on the road, your safety is at risk from a number of factors. Therefore, add-on covers are not just additional costs; they are assets which earn you several advantages. At A2Z Insurance & Financial Service, we want to make sure our car insurance holders can secure the best possible protection for themselves. So choose wisely and secure your car with our assortment of add-on covers. As much as we would like to cover all possible risks, certain situations are just not feasible. Cars being used other than in accordance with the limitations as to use. For example, if you use a private car for remuneration purpose. We offer comprehensive car Insurance Plans for various car Brands and Models. *T&C apply. Discount is applicable on OD Premium. Details mentioned here by A2Z Insurance & Financial Services for the product- Private Car Package Policy. While motor insurance is mandatory, it is also essential to get the best policy within the desired budget. At A2Z Insurance & Financial Services, we have tie-ups with several insurance companies to serve the best premium rates. The process that we follow to provide free quotes is very simple. 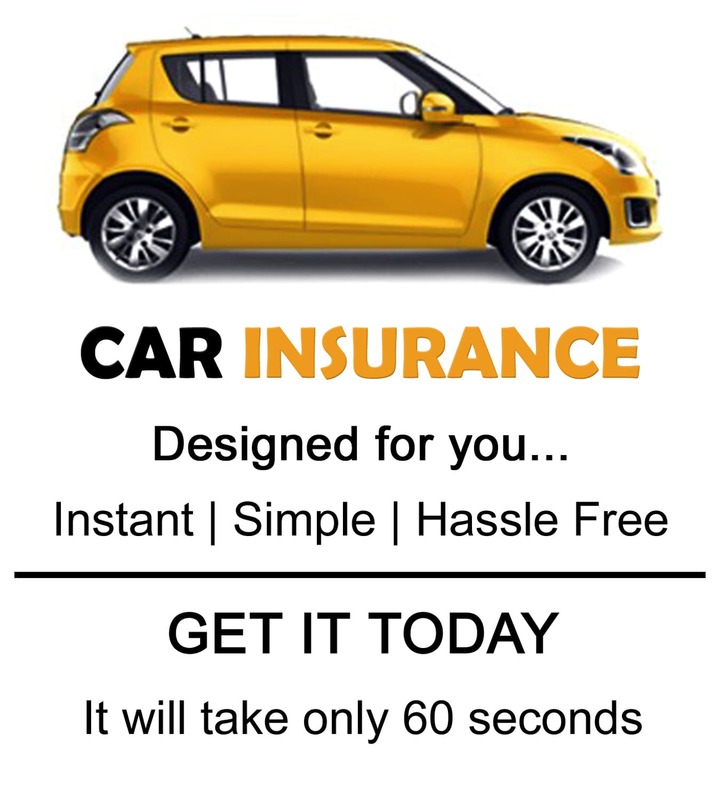 You simply need to put your personal details and vehicle related details in the online form, and in just a few steps you can get the best vehicle insurance policy. By following these steps you can easily get the best and cheapest insurance policy that directly saves your hard earned money. The portal provides free quotes that will help you to choose best one. Our comparison service is free and unbiased. Our Sales Team will assist you in every possible manner and you can contact us anytime in case of assistance. Documents Required To Buy Car Insurance Online. Purchasing motor insurance online requires minimal documentation. If you are buying a new insurance policy, then you need to fill a proposal form and a copy of the Registration Certificate (RC). Every vehicle owner (private or Non- Commercial Vehicle) is required to register his vehicle at the nearest RTO (Regional Transport Office). In case of renewals, you need to provide a copy of the Registration Certificate (RC) along with the previous insurance Policy. It is advisable for you to fill your details carefully as by providing the accurate and complete information you will face no issues at the time of a claim. While buying a policy it is vital to pay attention to the reputation of the Insurance Company. You must check the company's record and claim ratio. An insurance company with a bad claims ratio would not be advisable when buying a vehicle insurance policy. According to the experts, the voluntary excess should be less than the NCB amount you will qualify for next year. If your car has any safety feature like Alarm, Immobilizer then you can get a great discount. It is advisable that you do not claim for minor damages and repairs which you can pay from your own pocket and which does not add any additional burden on you. It is advisable if you save your NCB for future requirements which may require higher cost spends. The aim of buying car insurance policy is to protect you from any financial emergency in case of any damage/loss of your vehicle. Most online companies provide cashless services only if your vehicle was repaired in a Network Garage. Therefore, look for insurers with maximum Network Garages present in their list. "The Authority clarifies that, linkage of Aadhaar number to insurance policies is mandatory under the Prevention of Money Laundering (Maintenance of Records) Second Amendment Rules, 2017," the IRDA said. In a discussion with all life and general insurance companies, IRDA said the rules have "statutory force" and they have to implement the rule without waiting for the further instructions. Although, there are no deadlines that have been given by IRDA for the completion of the process, as per the circular, it has to be done as soon as possible. Some insurance companies also said that this can also result in the delay of payout in a few cases. Aadhaar is now also compulsory for financial transactions of Rs 50,000 and above. Likewise, one has to link one's Aadhaar number with the mobile number latest by February 6, 2018.